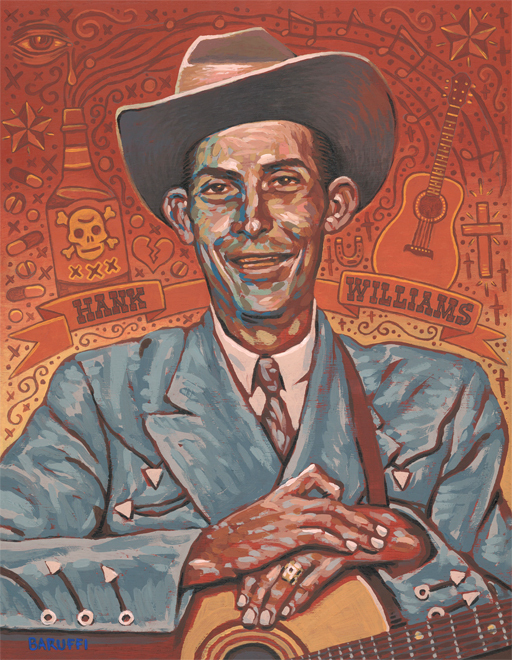 Just finished a new portrait of Hank Williams Sr. Acrylic on Wood Panel. I will be showing (selling) this and many other pieces on Friday, Nov 22, and Saturday, the 23rd at the Cornelia Artists Building. 1800 W. Cornelia, Chicago, IL 60657. Thanks to Lisa Larson for offering show space to my wife and I next to her works of art.